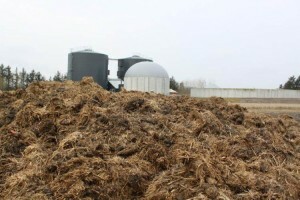 Biomass feedstock storage (for example installing a silage clamp) is a new subject which is rising rapidly in prominence, following the recent expansion in anaerobic digestion plants. Current low-cost designs can easily be a shocking waste of space. This fact is becoming clear now that there are now many plants in operation which their operators would like to improve, and by doing so to serve their biomass and biowaste suppliers better, while increasing their profitability. 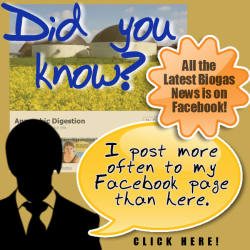 “The [UK] anaerobic digestion (AD) industry recently celebrated the passing of a huge industry milestone, with the announcement that over 400 biogas plants are now in operation as a result of over 600 per cent growth outside the water sector over the past five years.” – wrote Charlotte Morton, Chief Executive of the Anaerobic Digestion & Bioresources Association (ADBA) recently. All forms of biomass/ crop waste feedstocks are seasonal, which means that they have to be stored from the time of harvest until it is fed into the bioreactor for its conversion to bioenergy, or products such as biomethane. 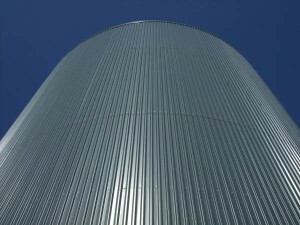 An adequate volume of biomass feedstock storage to ensure that feed materials are always available to satisfy an AD Plant’s essential demand for a continuous supply of good quality feedstock to maintain the plant uptime and reduce the risk of lost production, or even a lack of biogas output efficiency due to a shortage of a good “feedstock mix” for the daily feed. 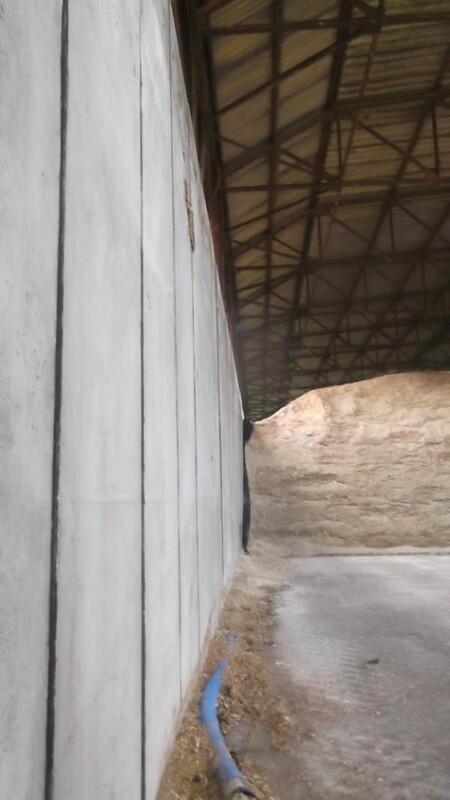 The industry is also becoming much more aware that well designed storage of biomass, such as a silage clamp, means preserving both not only the original dry matter which is not difficult, but also must not be allowed to decompose or effectively to compost itself while stored. Not only that, many of the materials stored will release their organic/ methane creating content much less rapidly if they have been allowed to dry out. In addition optimum storage should also include preparing the organic material so that it is mixed with a homogeneous composition, and some sort of control over particle size, and pH would be preferred. But, biomass feedstock storage is a subject which is often given less than adequate thought during the biogas plants construction. After all, at that stage minds are necessarily focused on keeping to a tight budget just to get each AD project up and running. Cheap and cheerful storage clamps are often built to start with, and the simplest are shallow earth-bunded structures. However, a variety of feedstock storage options are available, ranging from relatively shallow open storage without any weather protection to closely controlled environments which are much deeper and optimise the use of space. A good feedstock storage design be specific to the feedstock type to be stored, and include consideration of the effects of drying, compaction, sealing, and freezing on the resulting feed material properties. The main factor in such a design will always be to avoid increasing the recalcitrance of a feedstock during digestion. When all those aspects have been considered, finally it will be necessary not to increase, and if possible minimise the risk of offensive odour being produced at any stage during filling the store with organic material, storage, and transfer from storage into the biogas digester. “Too much storage area is being taken up for feedstock storage at AD plants – according to one leading designer and manufacturer of precast concrete elements for retaining and storage structures. Yorkshire-based Whites Concrete says designs of some walls can take up a far too large a footprint. “On a particularly large site, this might not seem like a major issue”, said Stephen Casey, Project Engineer at Whites Concrete. “However, with plenty of AD operators already adding extra storage to their sites, space can soon be at a premium, so it seems unwise to create a problem that can so easily be avoided”. Whites’ spokesperson went on to explain that plant owners should be looking ahead much further when designing feedstock storage improvements. Careful specification and selection of biomass feedstock storage location are so important. It is easy to forget that most AD Plants will still be around in a couple of decades time. There is already an increasing demand for a higher quality biogas output, and with examples such as biogas upgrading to biomethane rising in popularity, the chances are high that the average AD plant operator/ owner will need to find room for lot of additional biogas processing equipment between now and then. In the short and long term, inappropriate use of space could make further investment problematic”.